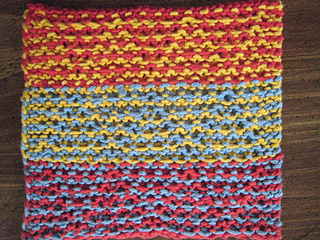 The yardage is my best guess for the total yardage for all 2 or 3 or more colors. 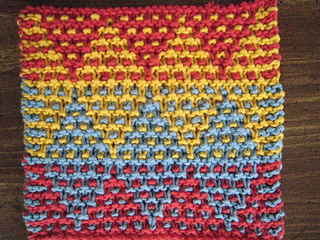 I used leftover yarn for both projects. Only the first few rows are written out -- basically to show how the chart works. 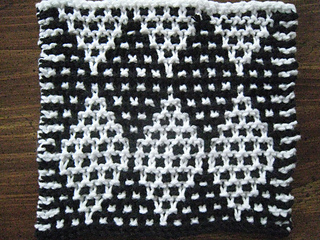 Charts for mosaic knitting are a bit different from the usual charts. All rows are charted. I used a size 7 needle with Peaches & Creme and a size 6 needle with Sugar’n Cream. 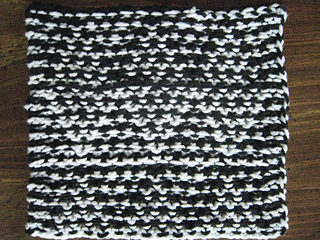 Both the RS and WS of the dishcloths are pictured.